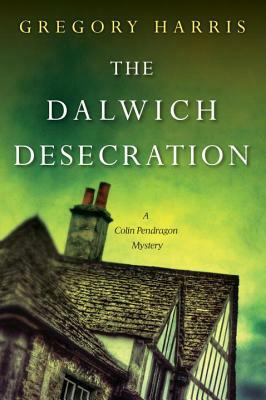 At the request of his father, Pendragon and Pruitt travel to the town of Dalwich, where a gruesome crime has desecrated the hallowed halls of Whitmore Abbey. The abbott has been slaughtered in his cell with multiple stab wounds and his tongue cut out. Although Father Demetris, the local bishop's associate, has faith that the killer must be an outsider from the village, Pendragon considers no man above suspicion--including the brooding brothers of the order. Gregory Harris is a graduate of USC who spent twenty years working on a variety of motion pictures and television series before turning his attentions to writing fiction. He resides in Southern California and is currently at work on the next installment of the Colin Pendragon series. Visit Gregory Harris online at www.GregoryHarrisAuthor.com and on Facebook at http://bit.ly/GregoryHarris.